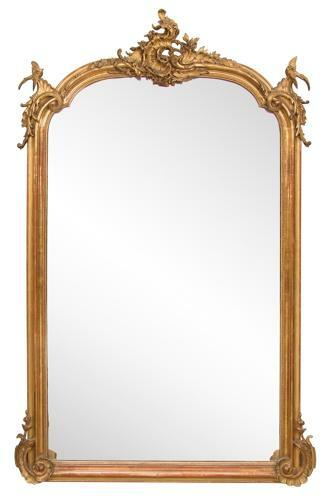 A large French crested overmantle mirror. A large French crested overmantle mirror.This is superb quality with fantastic original mirror plate and original backboards.The gilding is all original and in near perfect condition as can been seen from the photos or viewed in our shop. A very stylish ,interior design statement.